Are You Afraid Of The Ghost Month? There is a common perception that the stock market tends to slow down in the month of August because of the fear that the ghost festival that falls during this period may bring bad luck to business and investments. According to the traditional Buddhist belief of the Chinese, the ghost month is the time when the ghosts and spirits of the dead are allowed to come out of hell to visit their living descendants and celebrate with them for a period of roughly one month. This period normally falls between the last week of July and the middle of September as determined by the Chinese lunar calendar. For this year, the ghost month officially started yesterday, Aug. 22, and will end on Sept. 19. It is during this period when many Chinese who follow this tradition try to avoid making important financial decisions such as buying a new house or opening a new business or even getting married for fear that this may cast a bad spell on them. But should you also follow this tradition by avoiding the stock market? Past experience has shown that investing during the ghost month in the Philippine stock market can be profitable. Based on historical data since 1999, 12 out of 18 years or about two-thirds of the time showed that the market has averaged positive returns of 4.3 percent during the ghost month period. This means that if you invest in stocks at the start of the ghost month, you will have 67 percent chance that you will earn a 4.3 percent return on your investment after four weeks. Now let’s say you don’t have enough luck to survive this ghost month and you belong to the 33 percent probability that will lose money. Based on historical data, your average loss on your investment will be about 5.6 percent. At any rate, considering the potential outcomes of both scenarios by summing the probable returns and losses, you would still expect a positive net gain of 1.01 percent. Following the law of averages, even if we reduce the data set from 18 years to the last 10 years, the same pattern of probabilities occurs. Based on historical statistics, the stock market went up by an average of 4.2 percent in 70 percent of the time as against an average loss of 4 percent for three of the 10 years, resulting in a net expected value of positive 1.74 percent. A closer observation of the recent five years reveals similar results although significantly lower from the historical averages. Three of the five years showed an average return of 2.8 percent or 60 percent of the time while the remaining two years gave an average loss of 4 percent. In total, the expected value of probabilities still comes up with a positive 0.08 percent. Buying opportunity during the ghost month? While empirical evidence shows that stocks, in general, do perform positively during the ghost month contrary to market superstition, it is interesting to note that when the market happens to end the ghost period on a negative note, it tends to sustain its losses in the following months. Based on the historical data observed for the past 18 years, there is a 67 percent probability that the market may continue to lose more in the following month by 7.2 percent and 6.6 percent a month after when the index closes lower by end of the ghost month. Last year, the stock market ended the ghost month with 1.3 percent loss. True to its historical tendencies, the index continued to trend lower with 2-percent loss after one month and 4.9-percent loss in the succeeding month. If the market closes this year’s ghost month on a positive note, there is a good chance that it will sustain its uptrend up to 15 percent in the next two months. If the market ends otherwise, there is still probability that you may simply break even given proper portfolio diversification. So in any way you look at it, according to historical accounts, the ghost month is not that scary at all. In fact, it can be your lucky month. The fear of bad luck should not be an excuse for not taking action on a clear opportunity to make money. 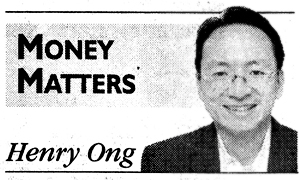 Henry Ong is a Registered Financial Planner of RFP Philippines. He is one of best-selling book co-author of Money Matters. He also writes regularly as columnist for the Philippine Daily Inquirer. Next: Can I Still Save Money Even If I’m In Debt?